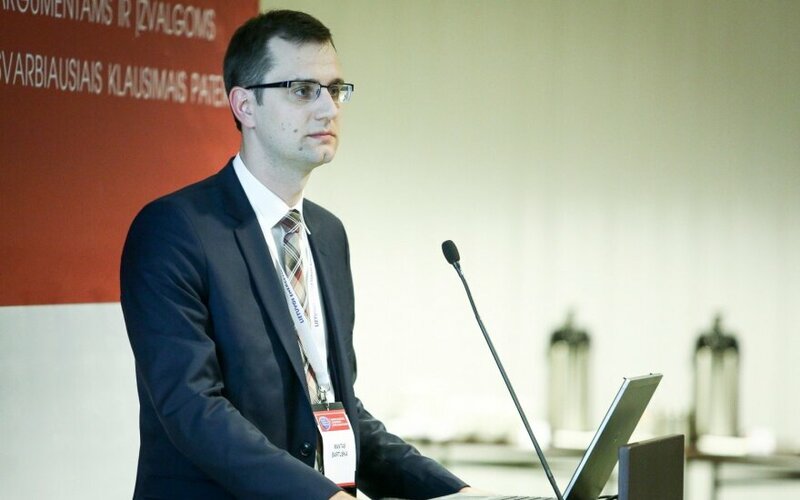 Mantas Bartuška, the new chief executive officer of Lietuvos Geležinkeliai (Lithuanian Railways, or LG), is confident that he will manage to turn the country's largest state-owned enterprise, which has recently come on the radar screen of law-enforcement, into a transparent company. Bartuska, who was CEO of the state-run oil product and liquefied natural gas (LNG) terminals operator Klaipėdos Nafta (Klaipėda Oil) before his new appointment, worked with Rokas Masiulis, the new transport minister who held the post of energy minister in the previous government, in implementing the Klaipėda LNG terminal project. Romas Švedas, an independent expert and a former energy minister, is taking over as chairman of the state railway company's new management board, which approved both appointments at its first meeting on Friday, marking the first time since independence that a new minister has replaced the management of a state-owned enterprise so quickly, in a matter of three days. "The first task for Bartuška is to carry out a full legal and financial audit, address the public procurement issues, cooperate with law-enforcement and turn LG into a company we could be proud of," Masiulis said in a news conference. When asked why the LG management had been replaced in such a hurry, the new transport minister said that changes in the company had been long overdue. "There is a lot of work to do and the situation LG is currently in must be improved, and I believe that we, through our work, can change the situation and change LG to make it a company that is transparent and governed by clear principles and brings benefit to the state," he said. Bartuska said that he would seek to ensure smooth implementation of the European standard gauge railway project Rail Baltica. Under the former CEO, Stasys Dailydka, the Lithuanian state railway company was in conflict with RB Rail, the Baltic joint venture co-coordinating the project. "We have good practices in carrying out the LNG project and I believe that we will be able to use these good practices in the (Rail Baltica) project too," he said. The 32-year-old is taking the helm of LG at a time when law-enforcement bodies and the media are investigating possible corruption in the company. Facts have surfaced recently about LG's allegedly non-transparent aid allocation practices and its dubious deals with Russia's Transmashholding. Also, the Financial Crime Investigation Service is investigating suspicious transactions concluded by LG and its subsidiaries. Some 429 million euros worth of deals were concluded within the group between 2011 and 2015. Dailydka, who had held the post of CEO of the state railway company for ten years, resigned in early December.